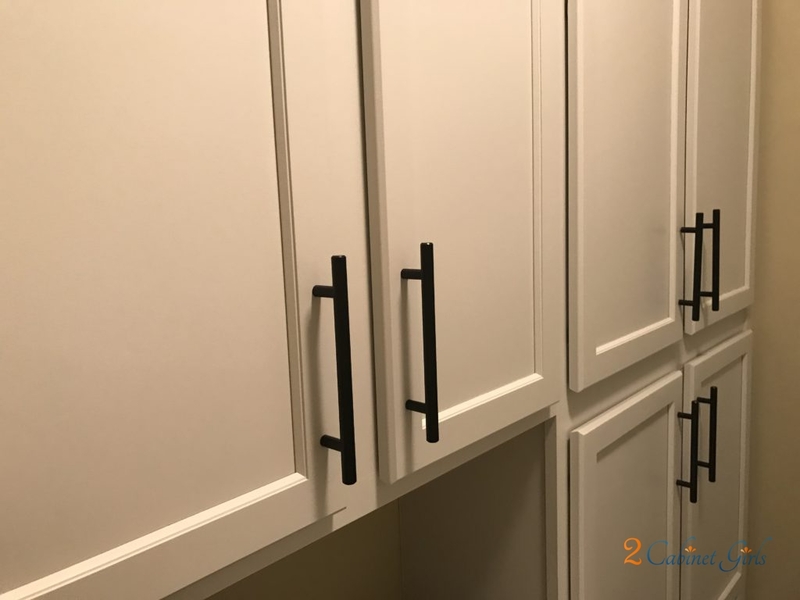 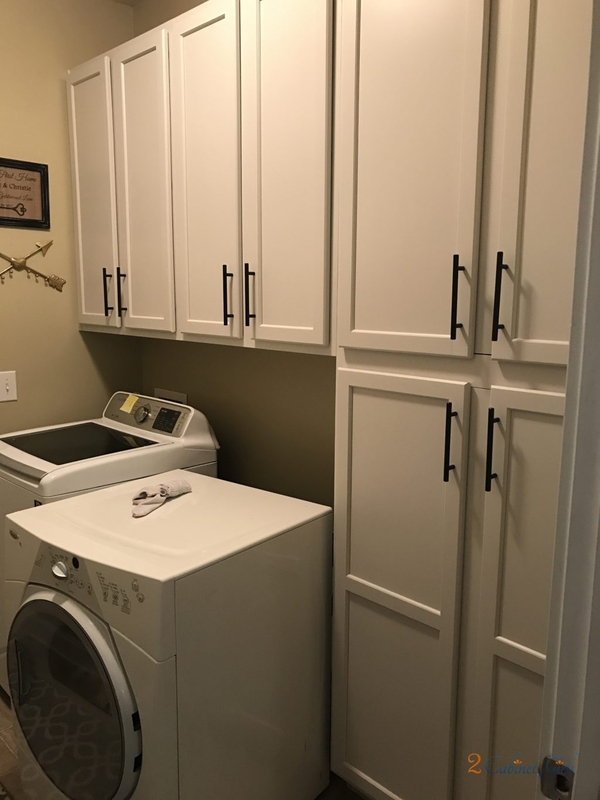 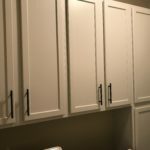 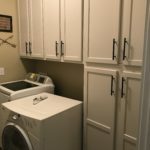 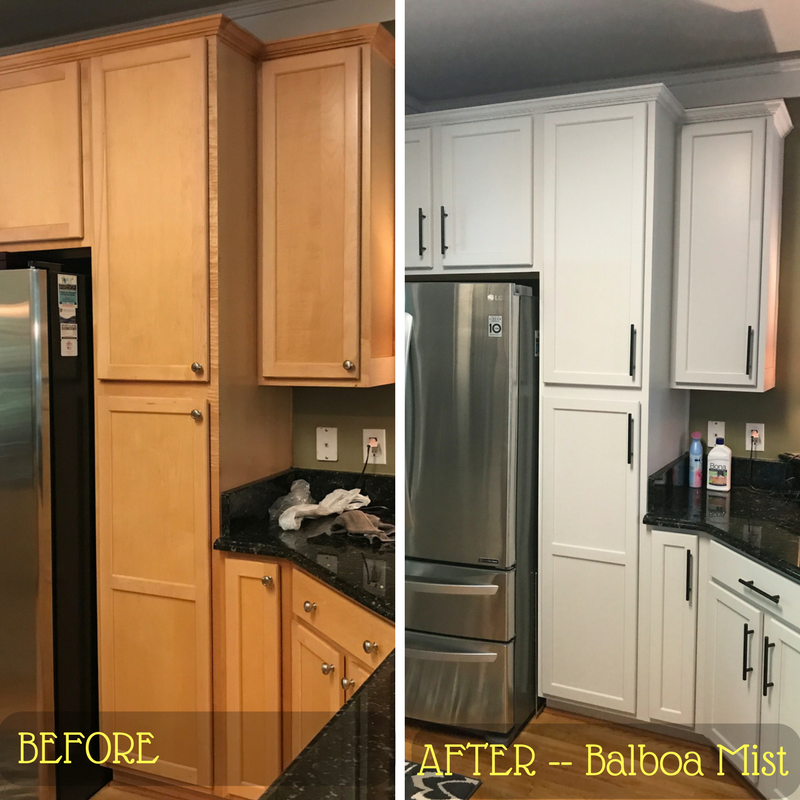 Painting the kitchen cabinets on this project included the task of injecting some ‘farmhouse chic’ style into the kitchen and laundry room. 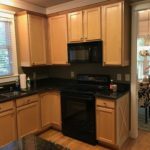 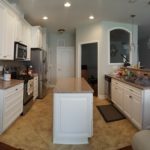 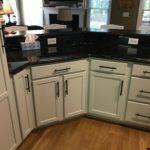 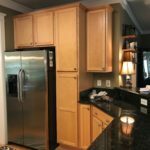 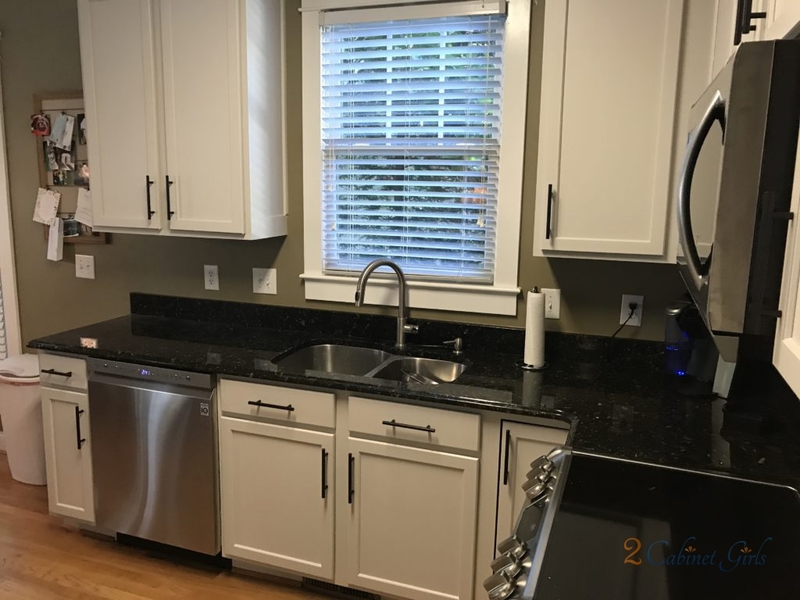 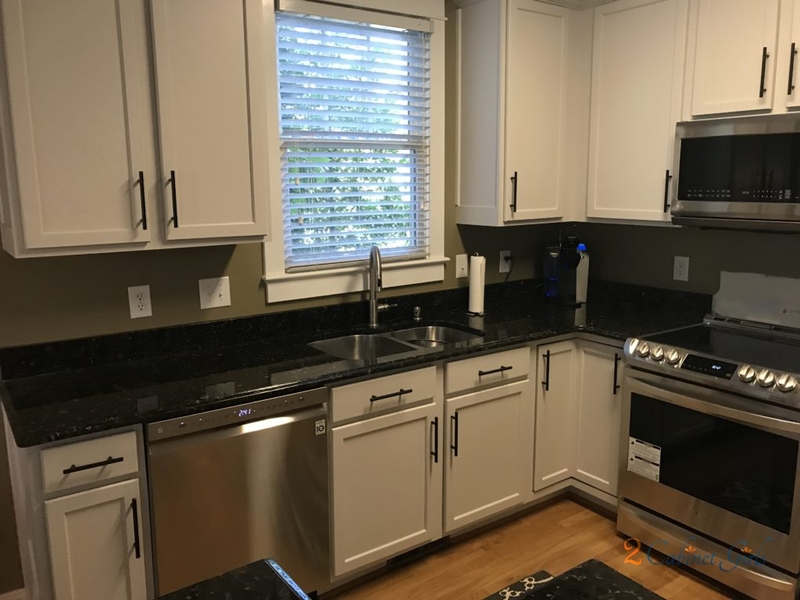 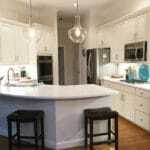 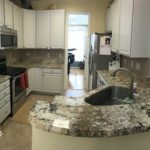 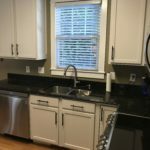 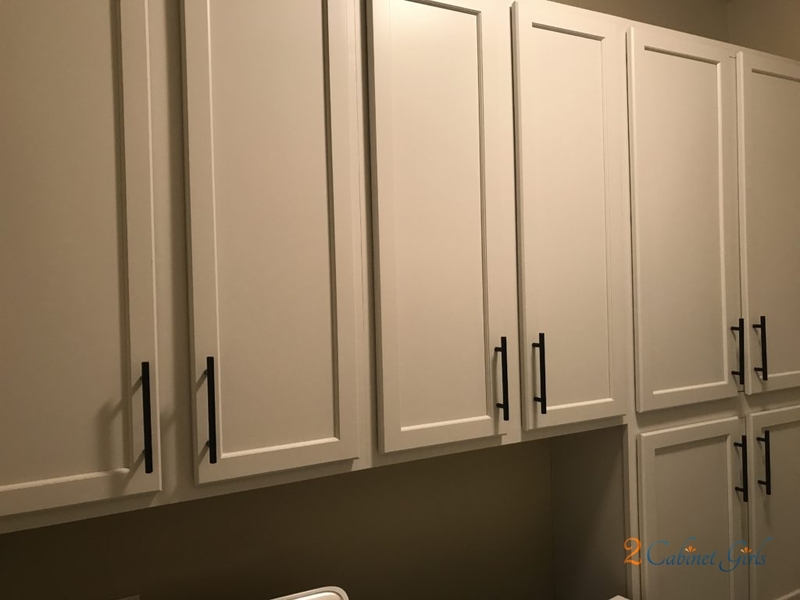 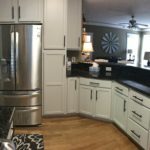 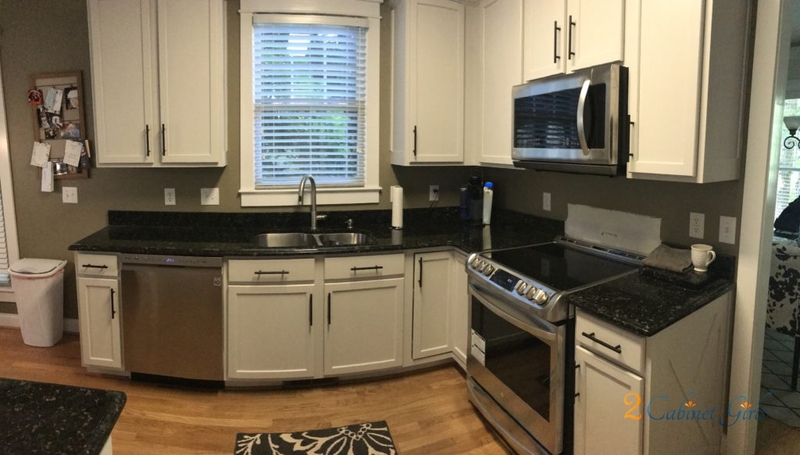 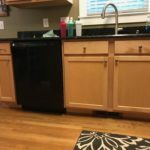 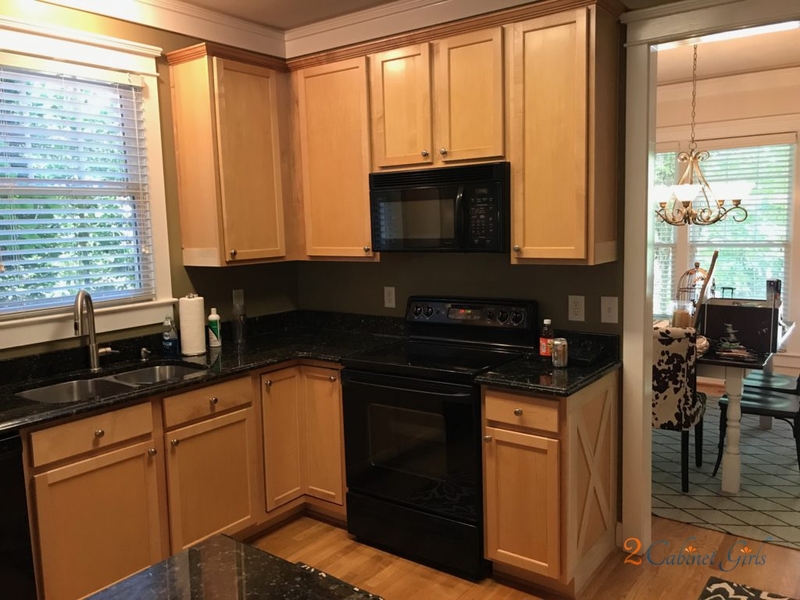 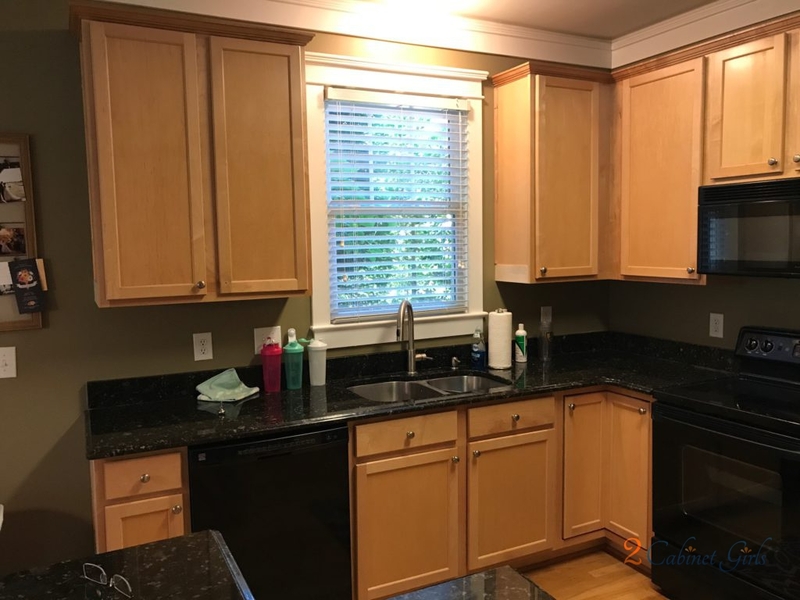 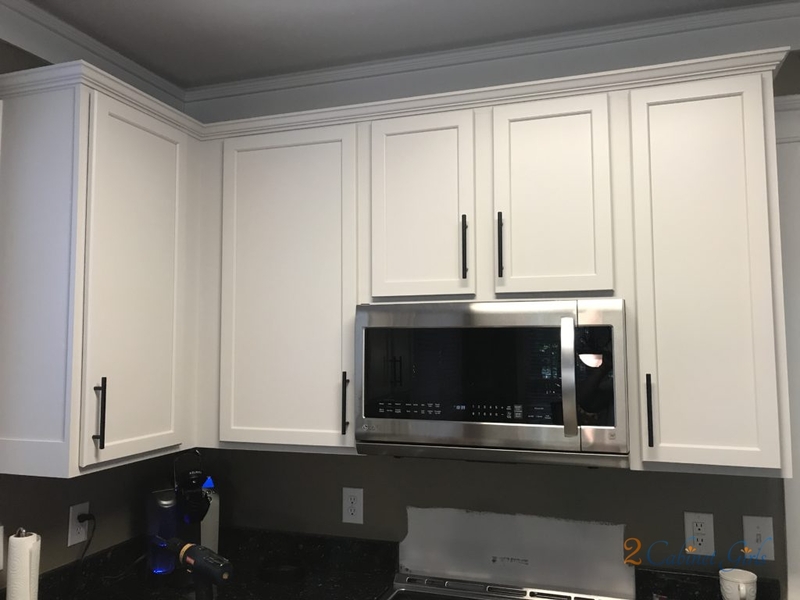 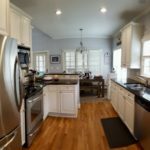 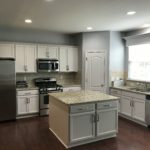 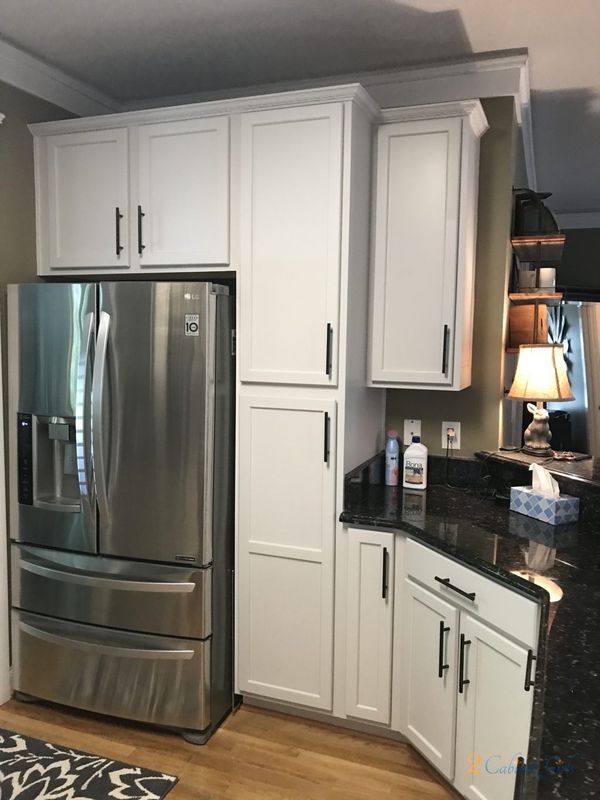 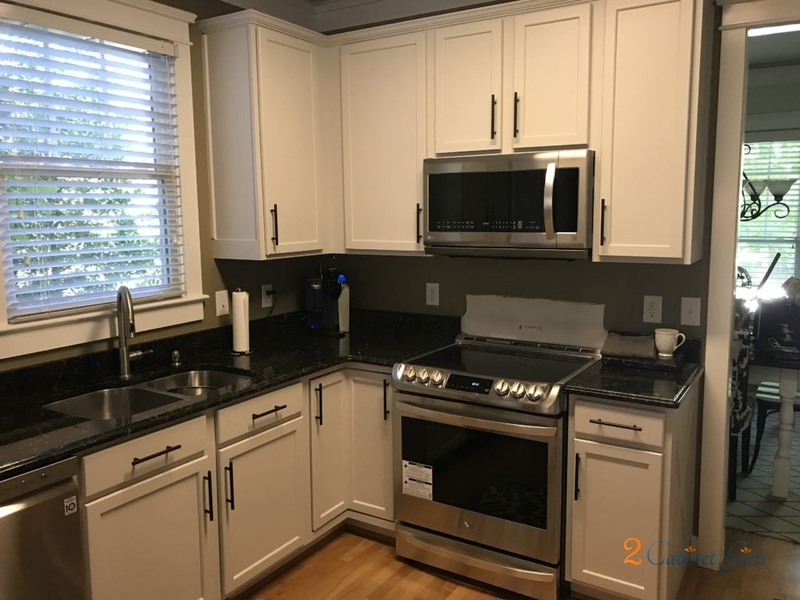 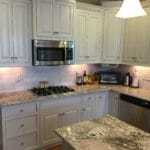 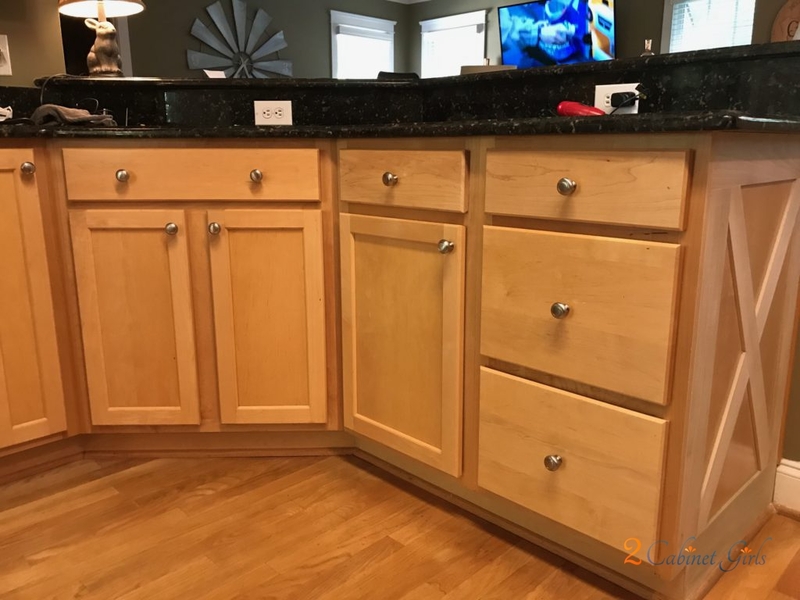 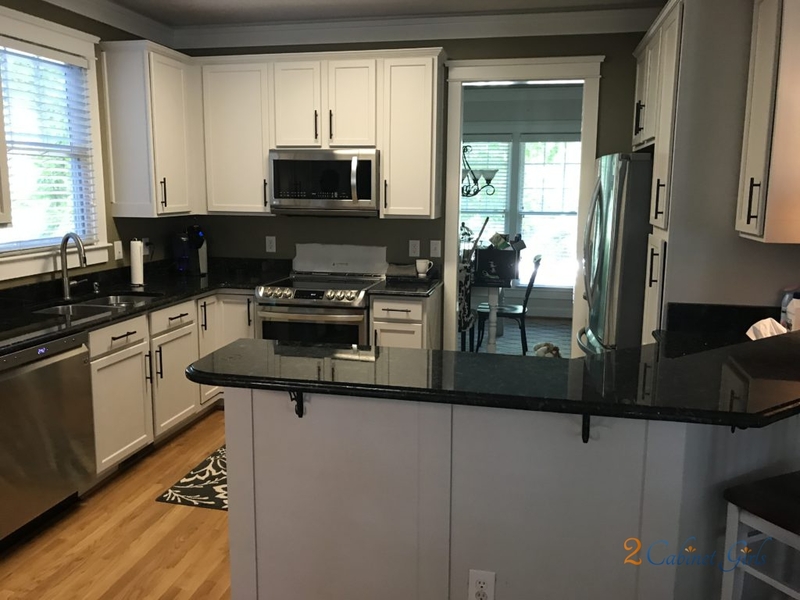 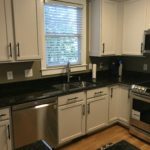 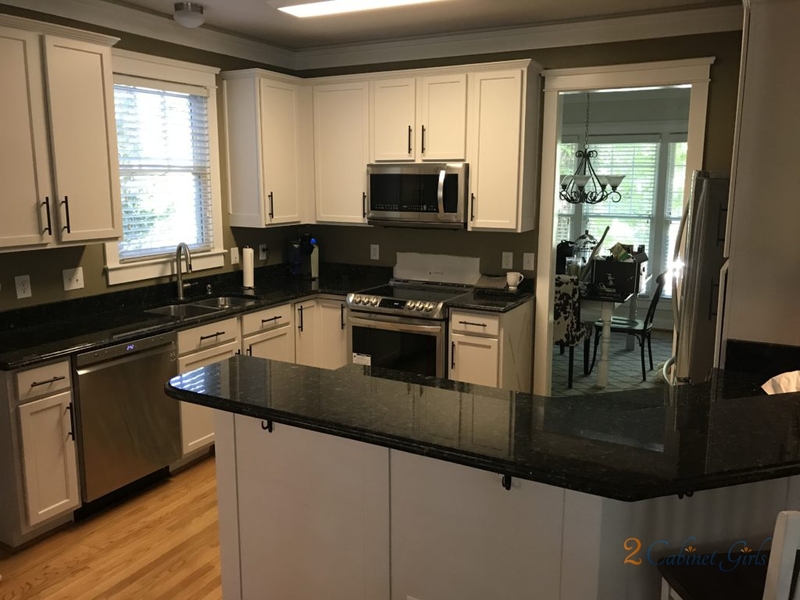 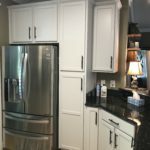 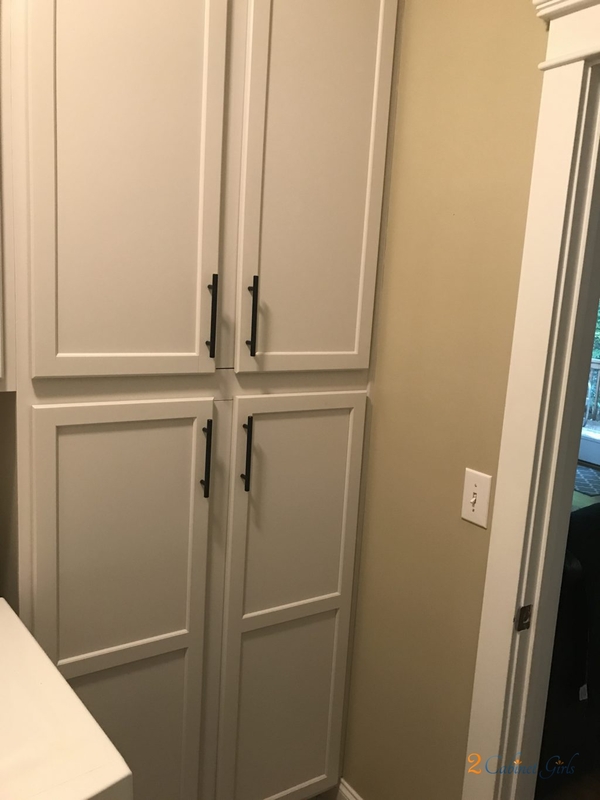 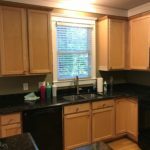 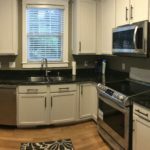 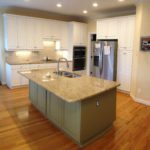 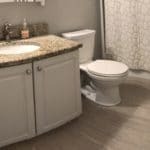 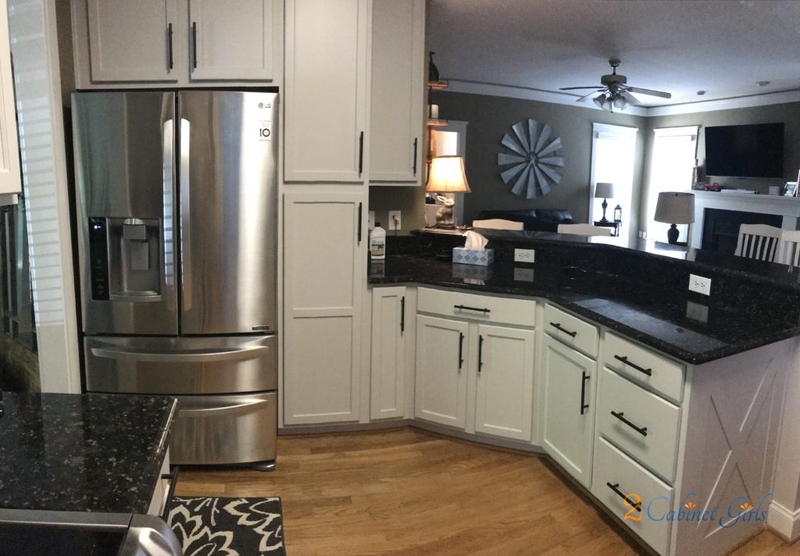 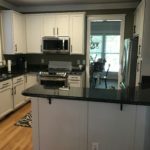 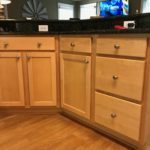 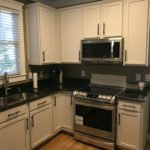 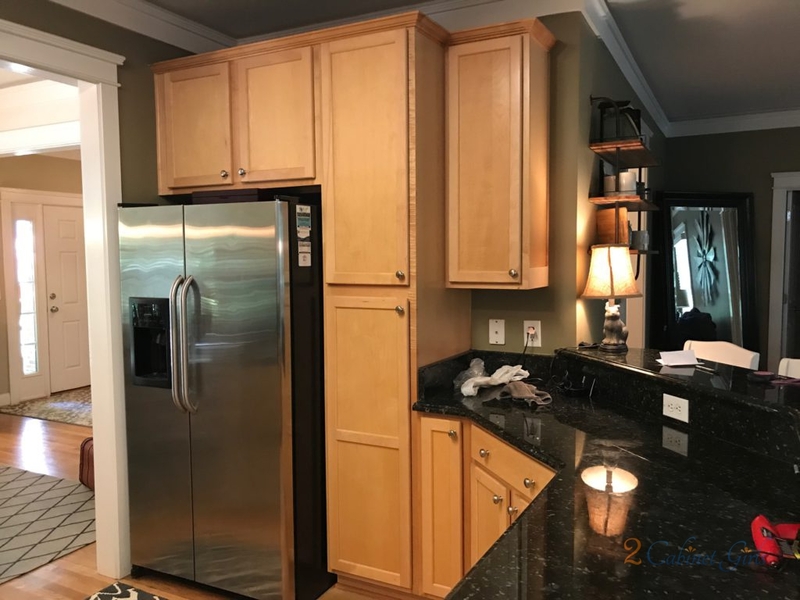 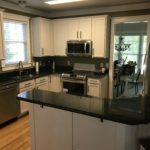 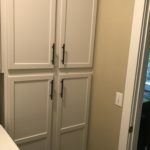 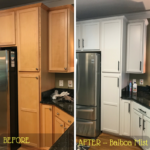 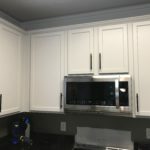 We needed a white paint color that didn’t scream ‘bright white.’ Once again Benjamin Moore-Balboa Mist rose to the occasion and gave us a white kitchen without it looking new and stark. 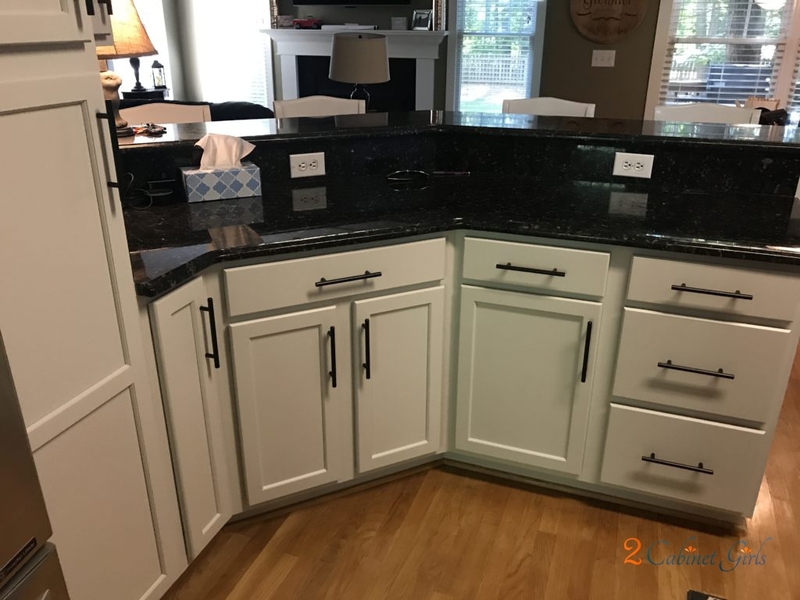 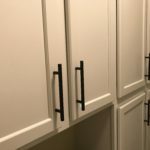 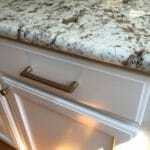 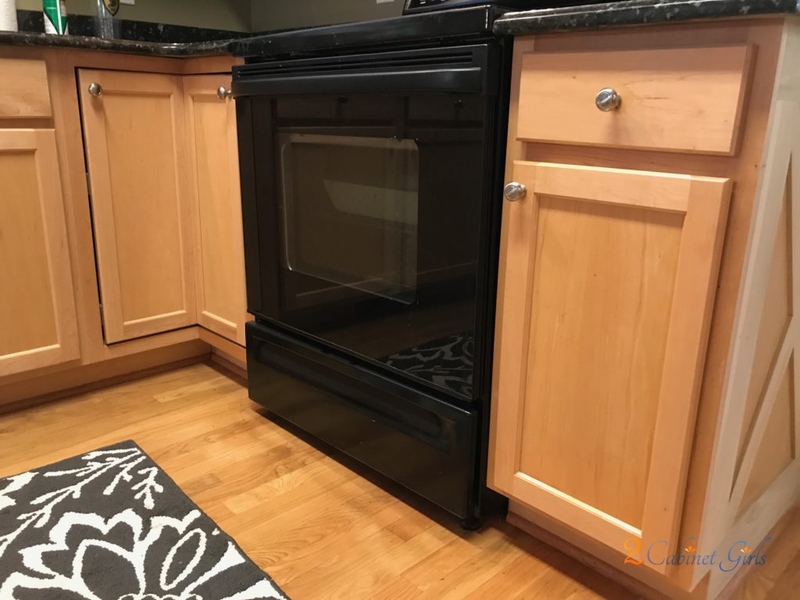 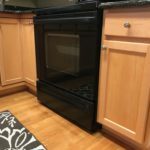 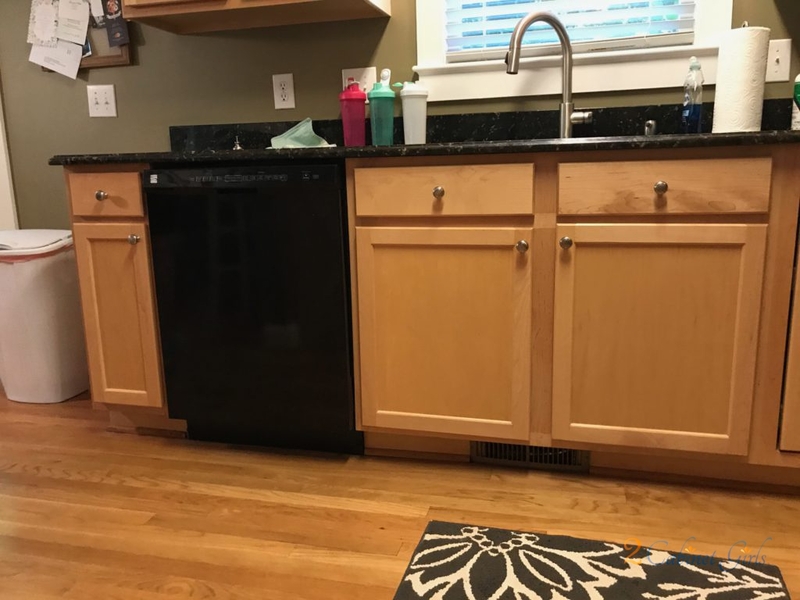 Adding new 5″ matte black bar pulls gives it a lot of extra pizzazz, and tie it into the black granite countertop.